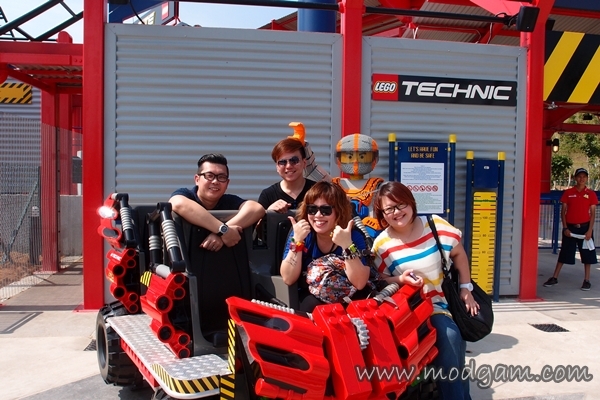 Though the very bad sunburn and bodyaches, I had so much fun in LEGOLAND® Malaysia. 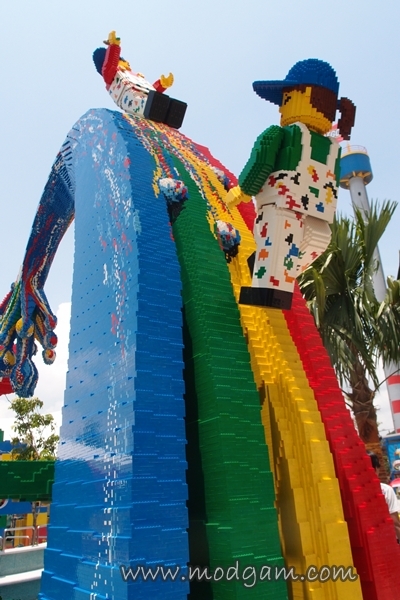 I am in love with the colors and all the amazing Lego® structures! 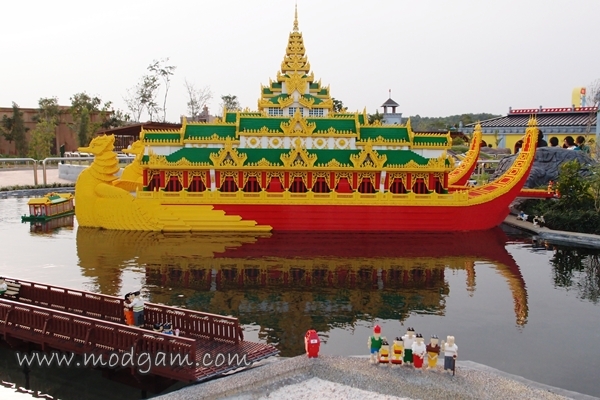 Look out for all the little details as you tour LEGOLAND®, you will be amazed with what you will find. You can be sitting on the bench resting your tired feet and as you look around, you’ll see from a distance, a little Lego® pigeon resting under the lamp. I love all the little details. 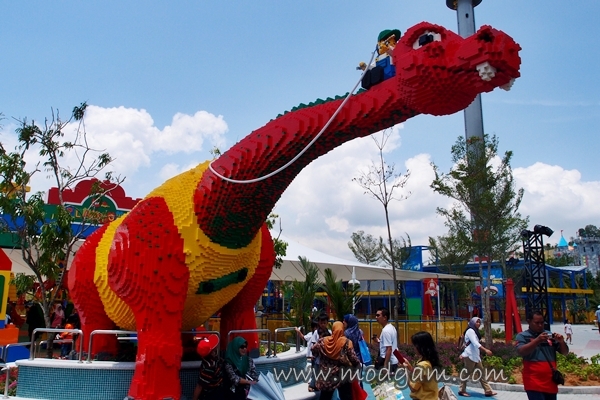 LEGOLAND® Malaysia is a full day family theme park featuring more than 40 interactive rides, shows and attractions. Spanning an impressive 76 acres, the park is divided into seven themed areas and contains more than 50 million LEGO® bricks! 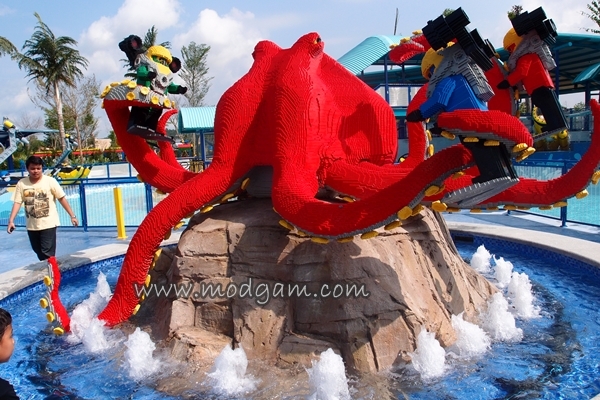 LEGOLAND® Water Park is scheduled to open in early 2013, followed by the Hotel in 2014. I hope they will invite me back again for sneak peeks! 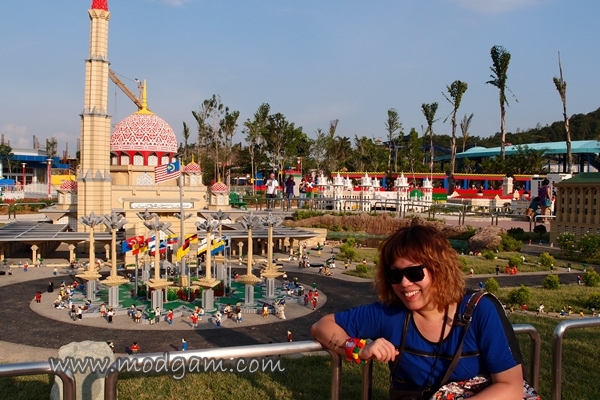 LEGOLAND® Malaysia is only 15 minutes from Tuas Singapore second link and 30 minutes from Senai Airport. 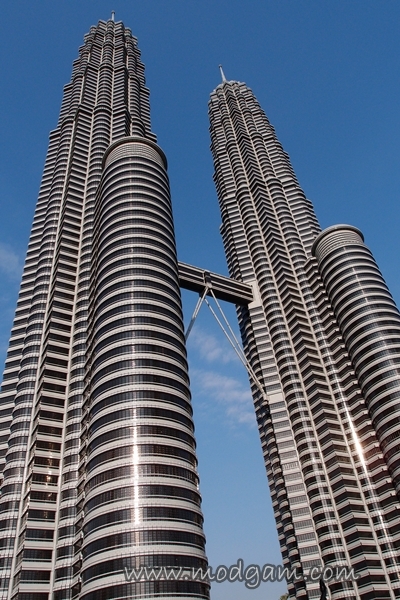 There are direct bus services from the surrounding area, and dedicated coach services to and from Singapore and Kuala Lumpur. 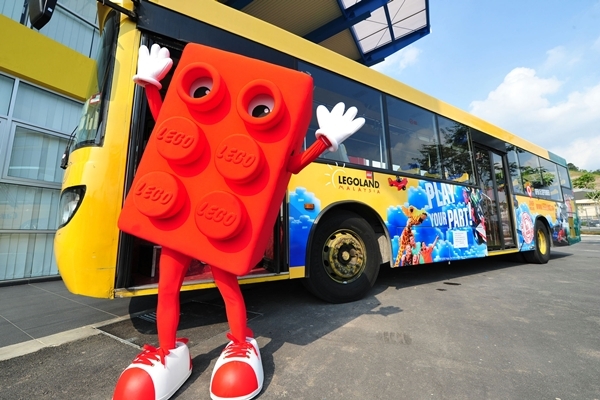 Please note that LEGOLAND® Malaysia is open throughout the year and is closed only on Wednesdays outside of holiday periods. Open hours are from 10am – 6pm but close at 8pm on weekends during public and school holidays. 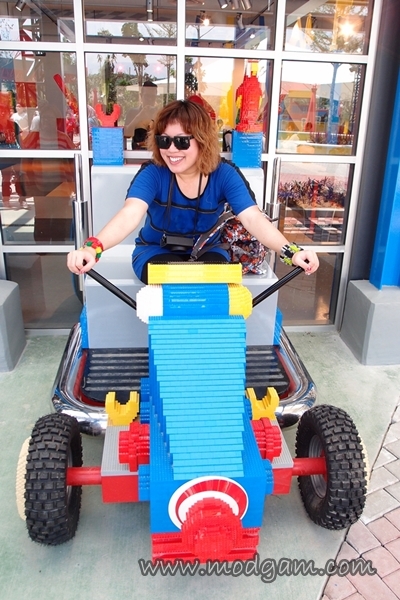 Visitors can choose between a day ticket, which allows single entry on one day, and a LEGOLAND® Annual Pass. The Annual Pass is valid for 12 months and permits unlimited visits during normal operating hours. 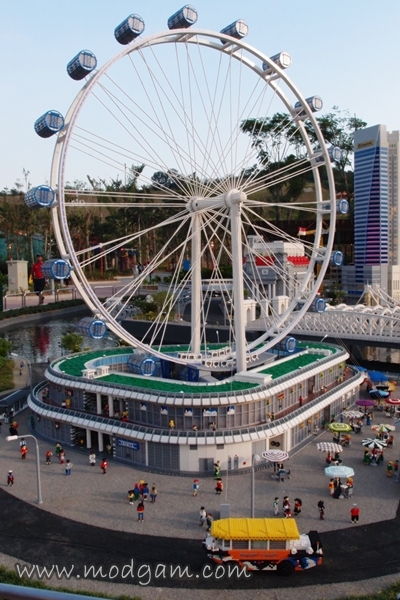 The miniature world of Miniland turns children into giants and is the centrepiece of every LEGOLAND® park. 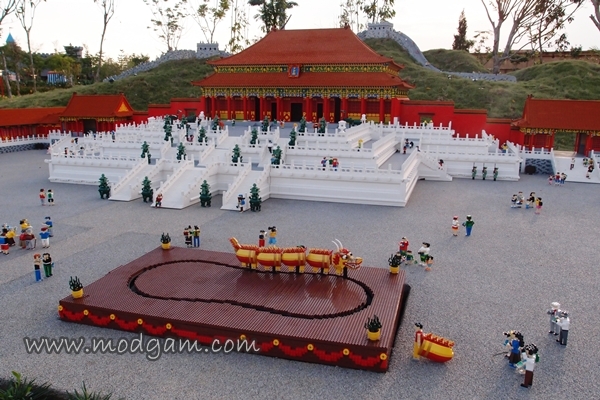 Asia’s most famous countries, cities and landmarks are recreated on a scale of 1:20, using more than 30 million Lego® Bricks. At the Build and Test Centre, you can bring your imaginations to life and find out if your creations works. Young engine drivers will love the DUPLO Express, where a colorful five carriage train carries 10 passengers at a time. The Observation Tower can lift 1000 visitors each hour to a viewing position 41m above the ground! Children can enjoy their child size city at DUPLO Playtown.The Kid’s Power Tower challenges visitors and test their strength by pulling their two-seat car up a nine metre rope! 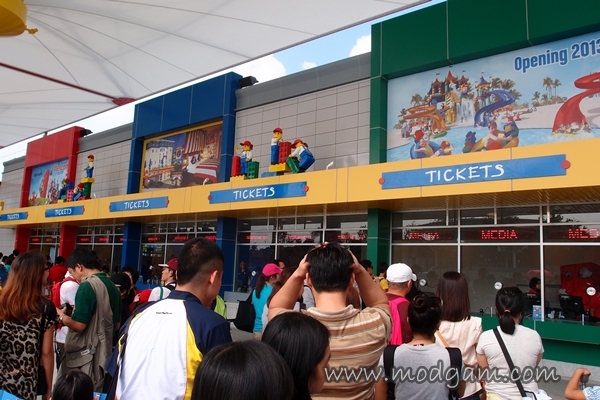 There is also a 4D movie adventure at Lego® Studios. This highlight is the park’s fastest ride, Project X, a roller coaster with a steep switchback track. 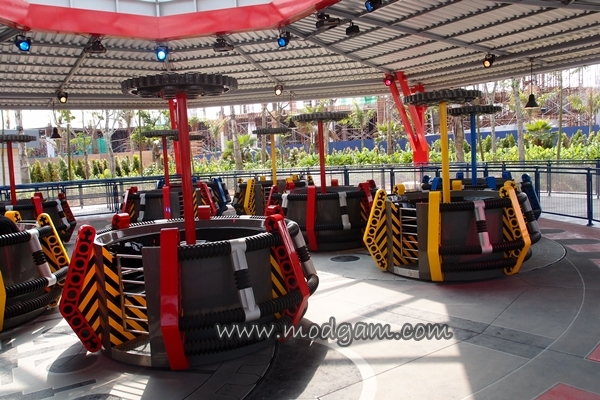 The Technic Twister lets visitors spin a wheel to control how crazy their ride will be. 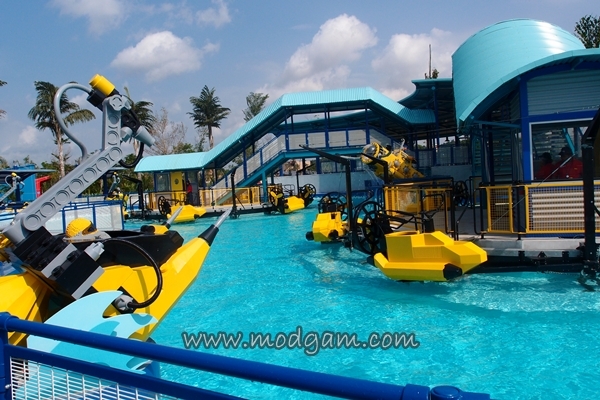 Aquazone Wave Racers offers a thrilling wave surf where those watching trigger the water bombs the riders have to dodge. The Lego® Mindstorms workshop encourages budding robot designers to build their future out of Lego® bricks. 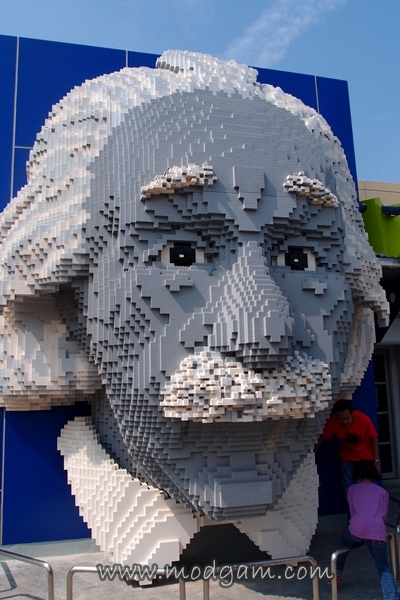 The Lego® Academy helps model builders of all ages turn designs into reality. Mag, this post is beyond awesome! I love the colors too! 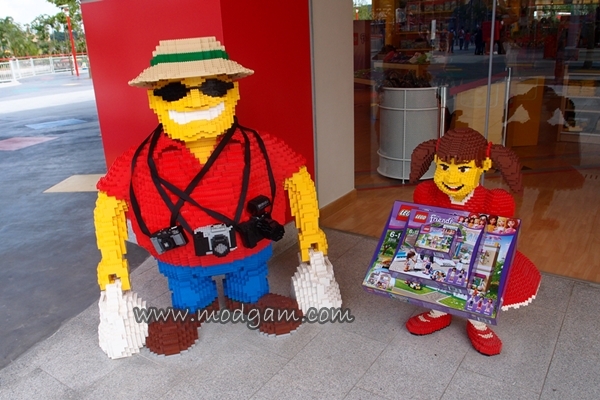 You know Gabby and I love lego. I grew up playing ’em and now my son’s into it too! Great captures! Love all your photos! me too, LEGO is like everyone’s best friend. I am hoping you will be able to do so with your family too! 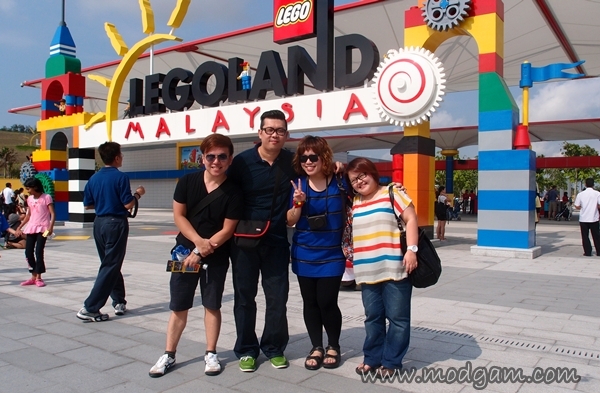 LEGOLAND MALAYSIA MEDIA DAY – In Details! Part 2/2 « Modgam's Playground; Fashion, Food, FunFinds. 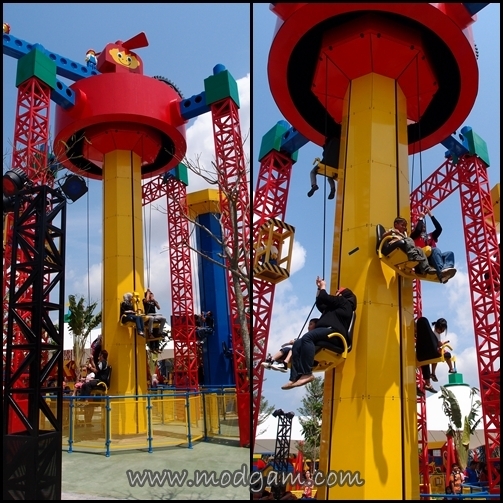 LEGOLAND® WATER PARK READY TO OPEN ON 21st OCTOBER 2013 | Modgam's Playground; Fashion, Food, FunFinds.